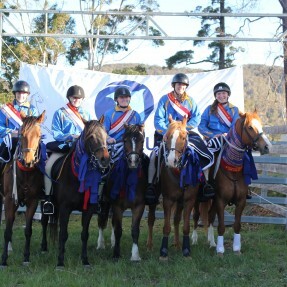 Double Champions at the NSW State Mounted Games & Team Sporting. 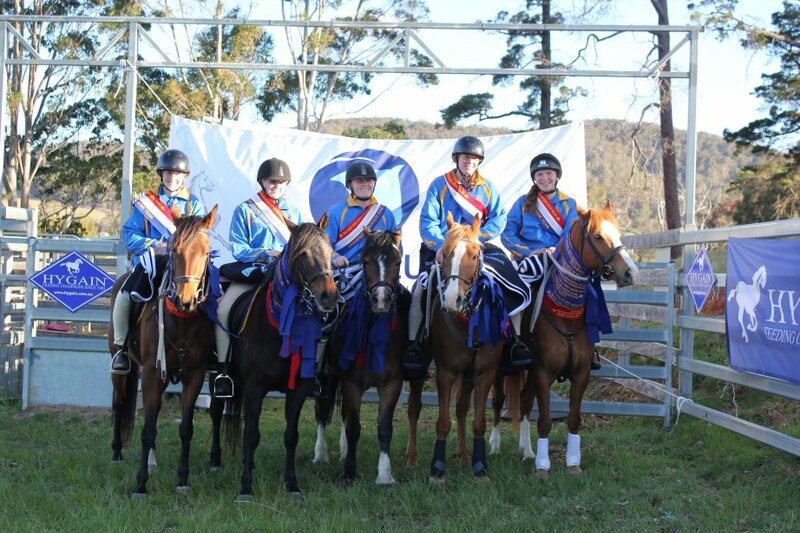 The Pony Club NSW 2018 State Mounted Games & Team Sporting Championships were held on the 29th & 30th of September at the Cobargo Showground. 80 riders formed teams of five to take part in the fast paced, skilful combined Championships with double Championships claimed in both the Junior and Associate divisions. In the Mounted Games Championships, riders competed from the same Club or Zone in 10 races including the Balloon Bursting, Five Flag and Stepping Stone Races. After a series of heats, the four fastest teams competed in the final for each race, with points determining the overall Champion & Reserve Champion Teams. In the Club Teams Mounted Games division it was The Green Assassins from Londonderry Pony Club who finished at the top of the leader board with 82 points for riders Jared Newham, Aaron Newham, Connor Richardson, Tess Mison and Cooper Richardson. The Reserve Champion award went to the Canberra Riding Club Lucky Dip Team on 77 points including Archie McGrath-Weber, Khiana Smith, Leah Vroomans, Kayla Arena and William Zeiler. In the Zone Teams division, the Champions were Zone 22 from the Illawarra Region with riders Julia Devitt, Reagan Davis, Breanna Geloven, Isabella Wells and Grace McGlinchey. Just behind was the Zone 19 team from the North Sydney region with riders Georgia Foley, Adrian Richardson, Chloe Ronneberg, Brittany Newham and Sharne Haskins. In only its 3rd year running the State Team Sporting Championships attracted a large number of competitors, with 15 zone teams vying for the top spots in the Junior and Associate divisions. Team Sporting includes popular races such as Team Bend, Team Flag and Straight Barrel races in a relay-style setting. The Junior Team Sporting competition saw the Assassins from Zone 19 in the top spot again be awarded the Champion Team with riders Jared Newham, Aaron Newham, Connor Richardson, Tess Mison and Kiara Radke. Just 3 points behind the Assassins was the Fully Charged team from Zone 22 who claimed the Reserve Champion award with riders Ella-Lin MacMillan, Taleha Urszulak, Jemma Corneteg, Abbey James and Jorja Dallacosta. The Associate Team Sporting championship saw the Zone 22 Team continue their winning streak taking out the Champion Associate Team title with riders Julia Devitt, Reagan Davis, Breanna Geloven, Isabella Wells and Grace McGlinchey. In Reserve Champion position was Zone 19 again with riders Georgia Foley, Adrian Richardson, Chloe Ronneberg, Brittany Newham and Sharne Haskins. All riders in the Champion Teams were presented with a sash, trophy and embroidered wool rug thanks to major sponsors of Pony Club NSW, Horseland and Hygain. Thank you to the local volunteers from Zone 14 who assisted throughout the event and hosted a championship dinner on Friday and Saturday evenings for competitors and their families to enjoy.